* The first advantage is the lower student – teacher ratio. There are less students that require the teacher’s attention, therefore your child is ensured of individual time with the teacher. * Unlike public schools, private schools have the right to expel students who do not adhere to regulations or are under-achieving. This creates a school with higher standards and a better reputation. * In private schooling, parents have a say in the running of the school. They are seen as partners in the educational process. Usually parents, because of the financial input they give, become more involved in their children’s education. * As a result of the higher tuition paid by parents, the schools are able to buy better equipment and can maintain the grounds more effectively. Latest technologies are affordable and give learners an academic advantage. * Personal attention to the learner’s progress means that accelerated learning can be achieved. * Private schools usually expect their students to wear uniforms, which gives children the opportunity to have a sense of group coherence and belonging. * Private schools tend to attract better or more qualified teachers, because they can afford higher salaries. 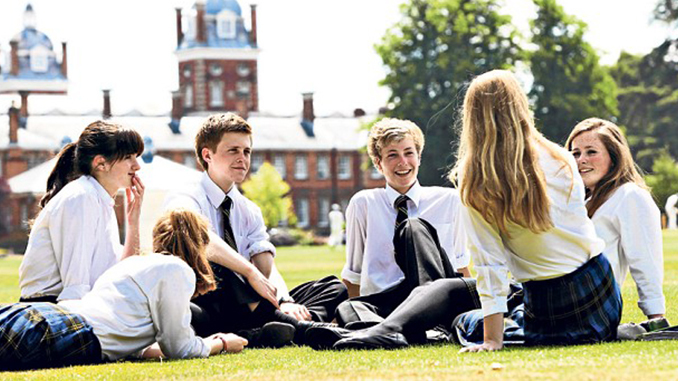 * The social advantages of private schools include the possibility of students to form deeper personal relationships with their peers and teachers due to the smaller class size. * It has been shown that there are less violence and drug abuse in private schools, because it can be recognized and dealt with at the onset. * Private schools have fewer disciplinary issues and a lower drop-out rate. * A higher percentage of private school students graduate to go on to tertiary institutions than children from public schools. * Communication seems to be better in private schools between the parents and the faculty members, between teachers and students and between peers. * Students get the opportunity due to smaller class sizes to speak up easier in class. This in turns build self-confidence and self-esteem. Mentioning these advantages does not mean that I think all public schools are bad. You will find that schools in smaller towns and more rural areas sometimes are on par with private schools as a result of a lower population density. Many parents cannot afford the tuition of private schools and therefore are forced into public education for their children – parents who are uncomfortable with that option should consider the possibility of magnet and charter schools in their area.